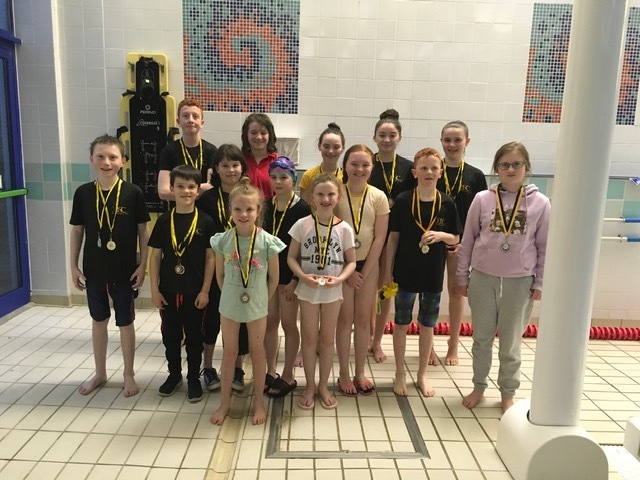 Well done to all the participants from Ballinasloe Swimming club who competed in the swimming finals held in Tuam on 31st March. 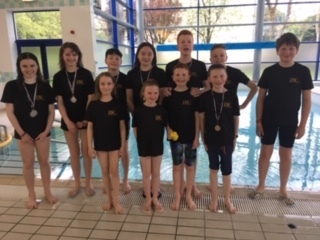 There were 17 swimmers represented from Ballinasloe and there were some wonderful individual and team performances on the day. They won 4 gold medals, 3 silver and 1 bronze with both the boys and girls relay teams also taking silver. Well done to Lea Stehelova, Laura Costello, Felix Kelly and Cian Mc Keon, all taking part in their first competition. Laura and Cian swam the 25m freestyle, with Laura swimming a great race and Cian making it to the final and taking 4th place. 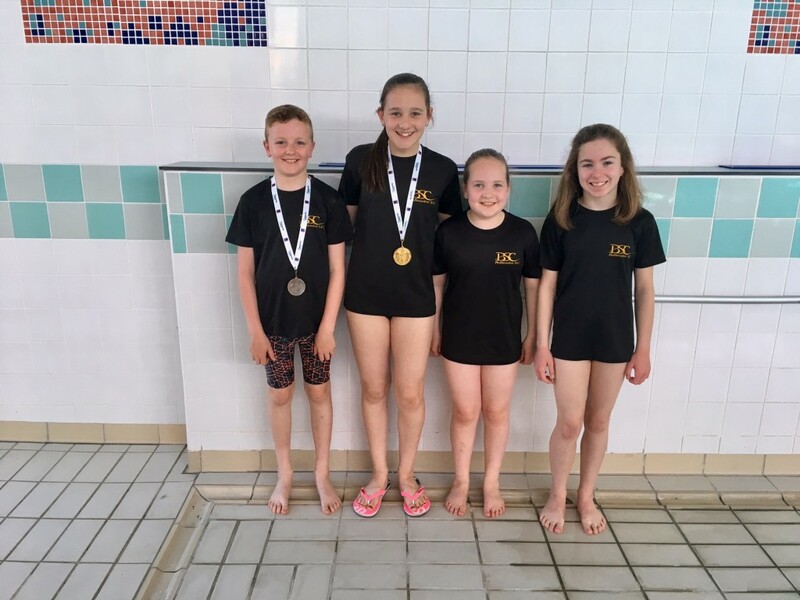 Lea and Felix swam in the backstroke with Lea making it to the semi-finals and Felix swimming very well, aged just 7 in the U10 competition. 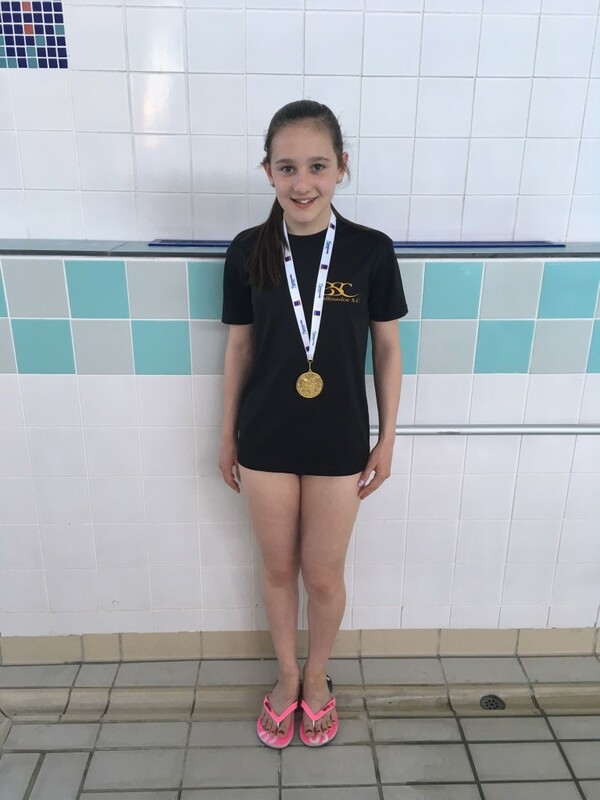 In the U12 Sarah Dolan swam a great freestyle taking the gold medal. Vivienne Naughton also swam brilliantly in the breaststroke coming in 4th in the final of a very close race. Matilda Kelly swam a great backstroke and Conor Costello also competed very well in the freestyle. Evan Mc Keon swam a great breaststroke getting a silver medal in another very close race. In the U14 Daniel Mooney swam brilliantly in the freestyle and took the gold medal. Liam Martin also swam a great 50m butterfly getting another gold medal. 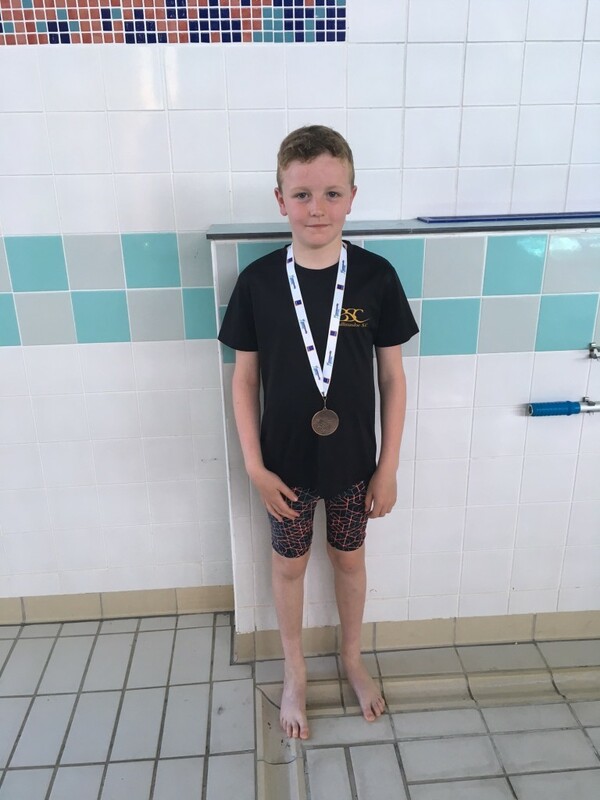 Leon Mc Keon swam excellently in the breaststroke and took the gold medal. Jenny Murray did great in the freestyle winning a bronze medal. Anna Trappe swam U14 breaststroke and just missed out on a medal coming in fourth. Kayla Mc Keon swam brilliantly in the butterfly taking the silver medal in a very close race. Emily Gillespie won a silver medal in the backstroke and swam very well. The girls relay team was, Sarah Dolan, Kayla Mc Keon, Jenny Murray and Vivienne Naughton. They won the silver medal in a competitive race. The boys relay team was, Liam Martin, Daniel Mooney, Evan Mc Keon and Philip Costello. They swam very well and took the silver. The gold medal winners will now go on to represent Galway in the National Finals of the Community games which will take place in the University of Limerick in May. Best of luck to Sarah Dolan, Liam Martin, Leon Mc Keon and Daniel Mooney. WE WILL FINISH TRAINING ON FRIDAY 14TH APRIL FOR THE EASTER HOLIDAYS AND RESUME ON MONDAY 24TH APRIL.